Idea Factory and NTT Solmare collaboration continues with “Demons’ Bond -The path of exile-”, the latest installment in the "Shall we date?”series, now available exclusively on mobile platform. 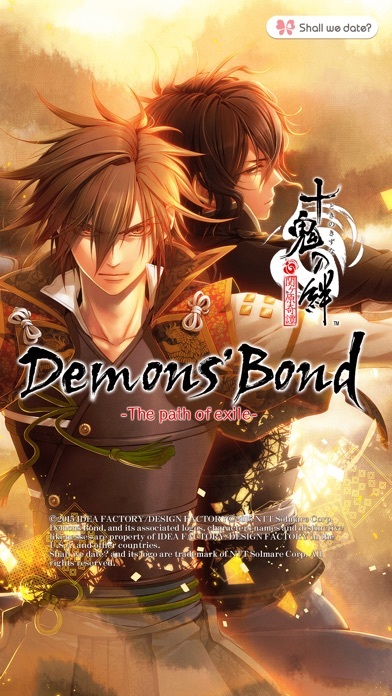 Demons’Bond -The path of exile- (original title Toki no Kizuna) is one of the many successful romance visual novel games from the famous “Otomate” brand from Idea Factory known for critically acclaimed titles such “Hakuoki”, “Scarlet Fate” and Amnesia.” With its intricate love story filled with passion and mystery, exquisite illustrations and beautiful background music,“Demons’Bond”will content all romance visual novel lovers! 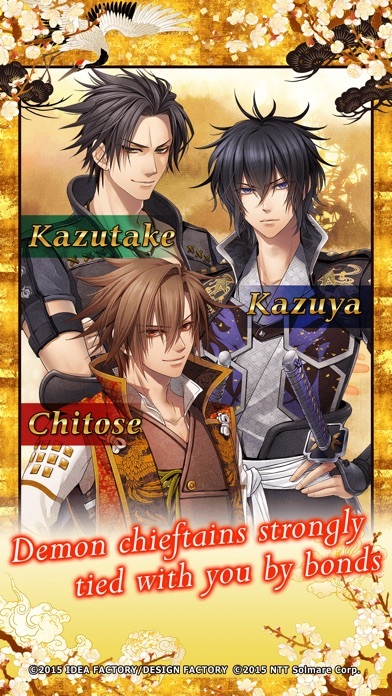 1.Story Introduction It is the Warring States period in Japan. After the passing of Hideyoshi Toyotomi, many warlords started to watch for a chance to be the next ruler of the land. In the midst of time where history is changing with the upcoming battle of Sekigahara where the major daimyos split into Eastern and Western Armies, aiming to fight a decisive battle, there were demons who lived in the shadows of history, avoiding human involvement. 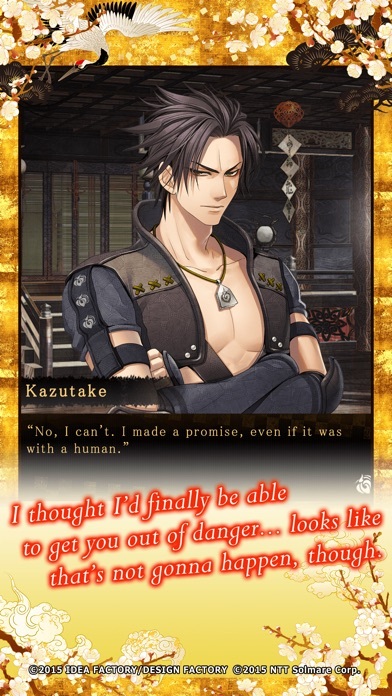 Our protagonist is a member of the Ten-Demon Alliance, a coalition of demon clan chieftains. Her duty is to protect Princess Yase, leader of the Ten-Demon Alliance. One day, Princess Yase summons all the Ten-Demon Alliance chieftains across the land. They are delighted at the reunion, but shortly after that, Princess Yase is attacked by forces unknowns. She is greatly weakened and falls into a deep sleep. The Ten-Demon Alliance chieftains, including the heroine, seek out the perpetrators who attacked the Princess. However, it becomes evident that within comrades which were believed to be tied with a strong bond, there were demons secretly in league with humans violating the commandment which all demons must obey. The protagonist's mission: to find a way to rouse the Princess from her slumber, and end demon interference with human affairs. 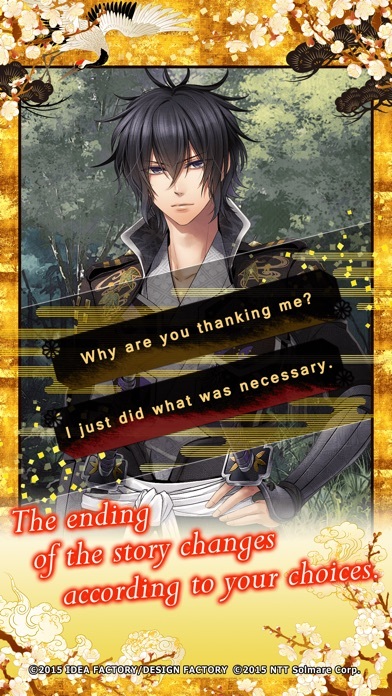 This is the story of the demons who ran through the Warring States period, with the heroine having two missions in her mind. 2.FEATURES 1)A beautiful and heartrending love story unfolds during the transient Warring Time, and the heroine believes in the bond with other demons and find her true love along the way. 2)The heroine is bold to act for the sake of her demon comrades even though they worry about her recklessness. This is the story of the demons who come to regain their ideal which had been lost for a long time. 3)Gorgeous photos and cool BGM emphasize the spectacular story. 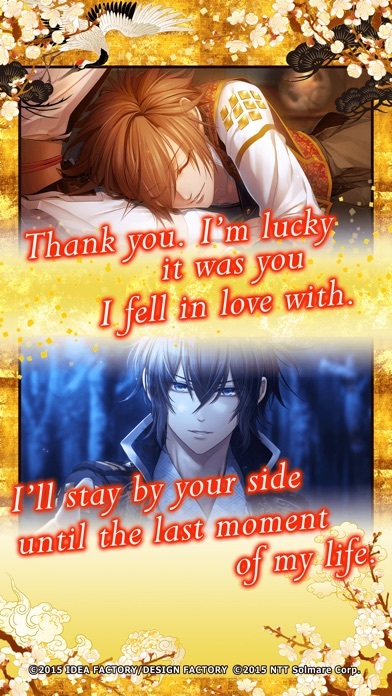 3.FOLLOW US facebook.com/ShallWeDate.NTTSolmare (Don’t forget to LIKE us if you enjoy our game!) youtube.com/user/ShallWeDate 4.ABOUT US Thank you very much for your interests and downloads of our games! NTT Solmare is a game company especially focusing to bring Japanese visual novels and Otome games to the world! Demons’Bond -The path of exile- is one of our game series, “Shall we date?”. We sincerely hope enjoying our games and give us feedback!